Ever squeezed your eyes shut after a prolonged bout of intense gaming and felt them burn? So you know the feeling? The sheer awesomeness of games these days, from your favorite FPS to World of Warcraft, can leave our vision a bit too stressed. 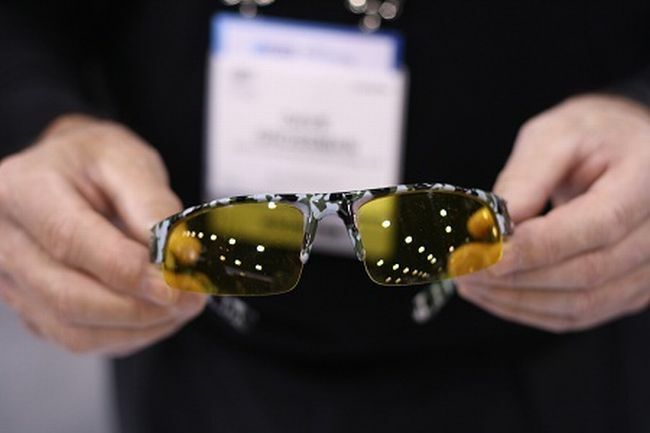 That’s why Vision Concepts have unleashed their new Gamers Edge glasses. No they’re not bullet proof. The yellow lens? Supposed to absorb resolution and details better than the average eyeball by reducing glare. We think the camo-style design on the frame is a bit too commando for our tastes, but Vision Concept is really onto something here. With a multitude of diehard gamers toiling away in a thousand little battles from Starcraft II to Angry Birds, taking care of our beloved vision should be a top concern. Also, Gamers Edge is light years better than wearing sunglasses while blasting away on your PC. Yeah, it is. Don’t be fooled by its sleek look. A pair costs an affordable $39.99.